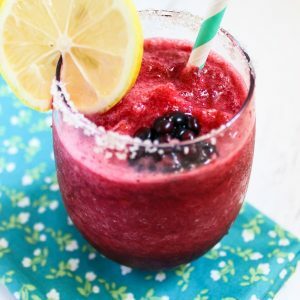 Easy frozen blackberry lemonade is the perfect frozen treat to cool down with on a hot summer’s day, and only takes a few ingredients to make. Blackberries are in abundance right now in Texas, and they are DIRT cheap at the grocery store. I’m talking $0.98 a pint! At that price, I don’t mind bringing home a few pints–or 5. My husband eats berries every day for breakfast along with yogurt and granola. At that rate we go through berries pretty quickly, but this week I still managed to have some leftovers that needed to be used up. That’s where this recipe for frozen blackberry lemonade comes in! 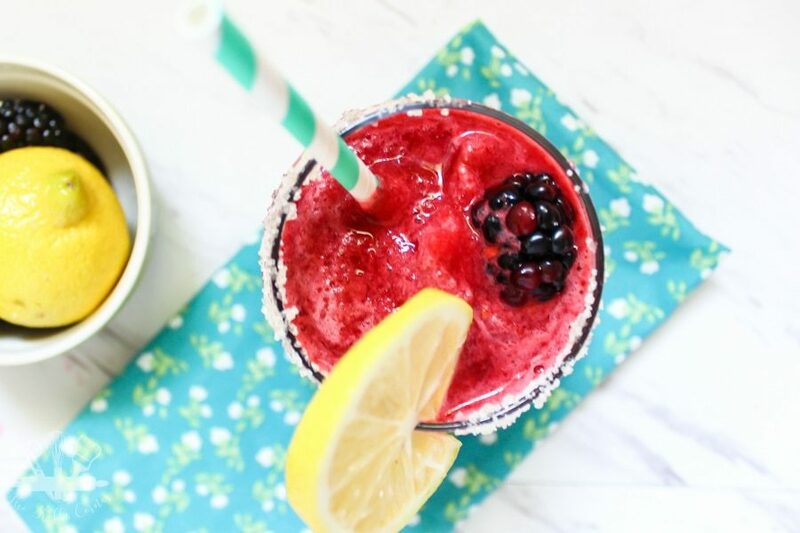 This frozen blackberry lemonade recipe is the perfect blend of sweet and tart and is a sure way to beat the sweltering 105 degree heat we’ve been enduring for the last 3 weeks straight. Seriously, is anyone else dreaming of Fall? I mean it is August and before we know it, the leaves will start to turn and there will be a distinct chill in the air. It’s not that I’m trying to rush away Summer, I would just kind of like Mother Nature to cool it a little–see what I did there? 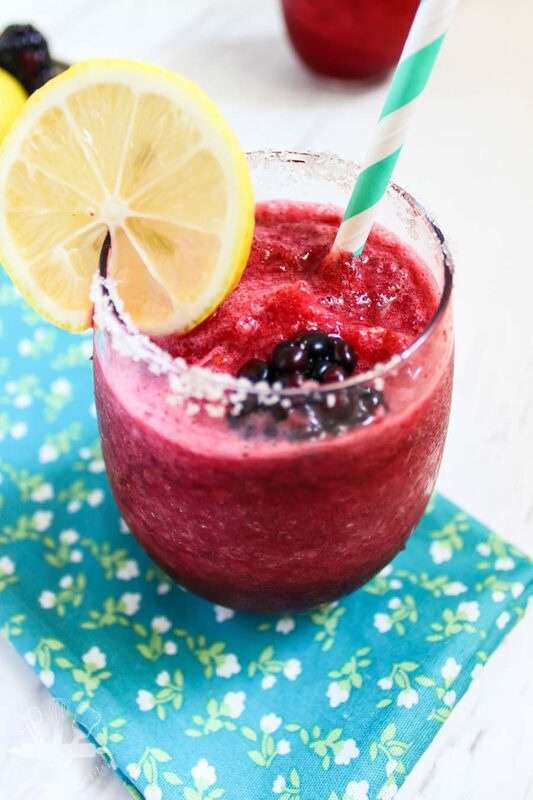 To make this frozen blackberry lemonade all you need are a few lemons, blackberries, sugar and ice. 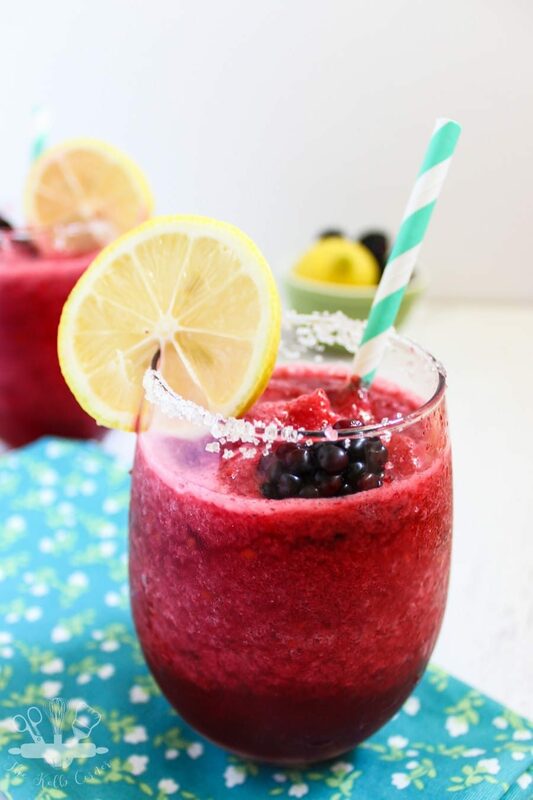 If you use frozen blackberries you won’t need as much ice, but it gives the frozen lemonade a frothier texture. Personally I like mine with fresh berries and ice to give it a slushie texture. And if you’re like me and it’s always happy hour somewhere, adding in a splash of vodka really takes the drink to a whole new level–of awesome. **Note if you use frozen berries you probably won't need as much ice. In a blender, pulse ice until crushed. Add in lemon juice, blackberries and sugar and pulse until smooth. Serve in a sugar rimmed glass and enjoy! Tried this recipe?Mention @domesticallycreative or tag #domesticallycreativeeats! Oh wow, this looks absolutely scrumptious! This sounds so wonderfully refreshing! Thank you so much Megin!! That looks delicious. And very pretty, too! I used your recipe for a photo shoot, as it was the perfect color and consistency for what I needed, not to mention it tasted amazing as well! Here’s a link to the final image from the shoot! Thanks for the great help for this project! We hit a high of 93 today here in mid-Michigan which is unusual. However, I will not complain because it won’t last long. In the meantime, I’ll make a pitcher of Frozen Blackberry Lemonade and be a happy camper. Thank you for sharing with us this week at Celebrate Your Story, have a great week and a great Holiday. Thanks so much for linking up at The Pretty Pintastic Party! We love your recipe, so we’ll be featuring it at the party this weekend! 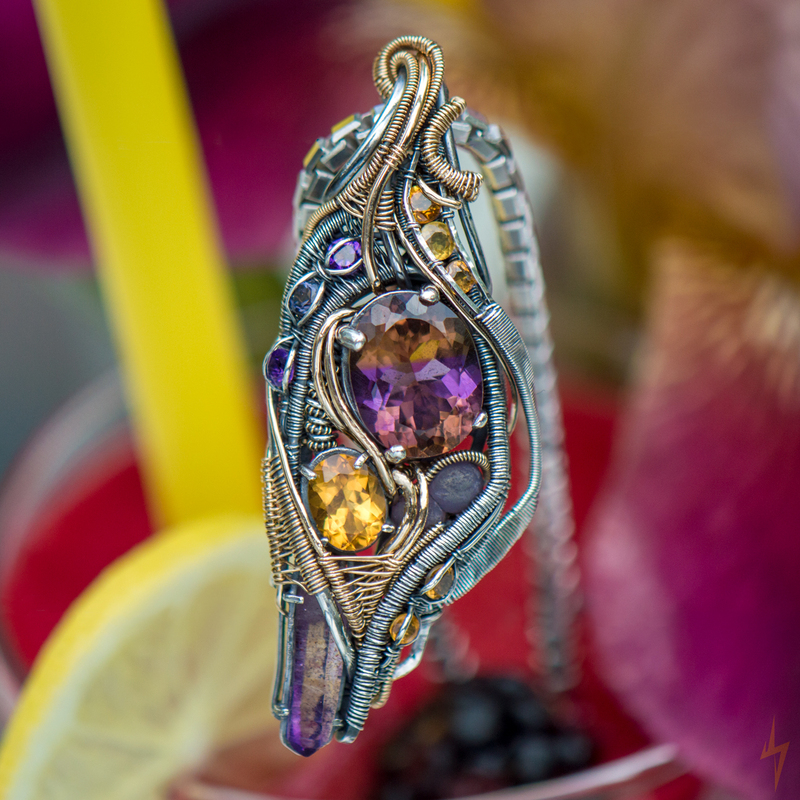 I hope you’ll stop by, grab a featured badge, and link up some more great posts!